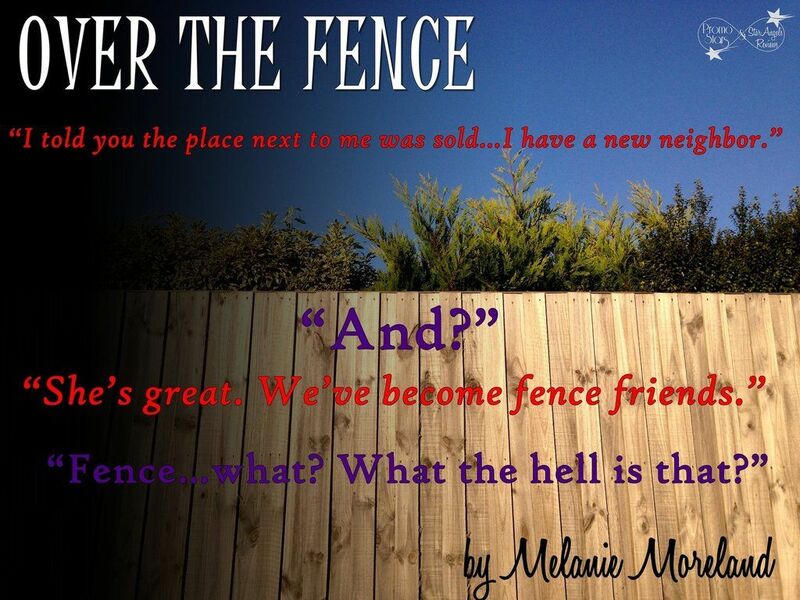 Two neighbors—strangers—with one thing in common—they share a fence. But is that the only thing they share? Nathan Fraser lives a solitary life, never letting anyone get too close. It’s safer that way. 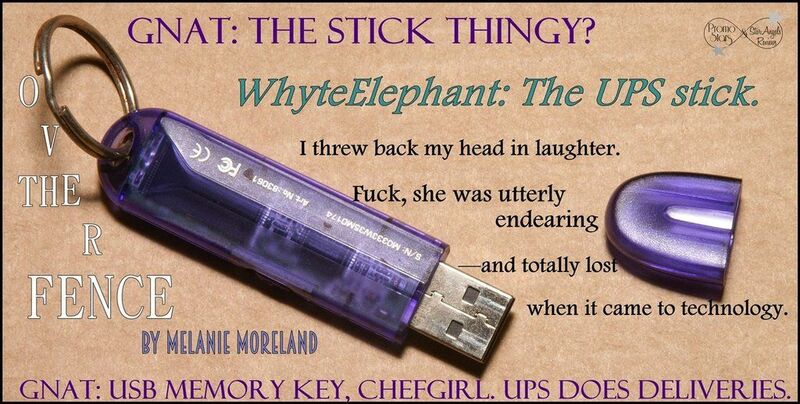 Kourtney Whyte hides from the world and behind her work, too afraid to really live her life to the fullest. Rejection is what she knows best. But one night, the sound of her soft voice and the tantalizing aroma of her evening meal, prove too enticing for Nathan to ignore. So begins their unconventional relationship—talking, learning, texting, and gradually opening up to one another, all over the fence. That is, until the day Nathan braves the high fence to protect Kourtney from her past, and changes everything forever. Can they move forward together, without the buffer of the fence? Or will their pasts prove to be too much of a barrier? It is no secret that I am a fan of the author's writing style and story lines. 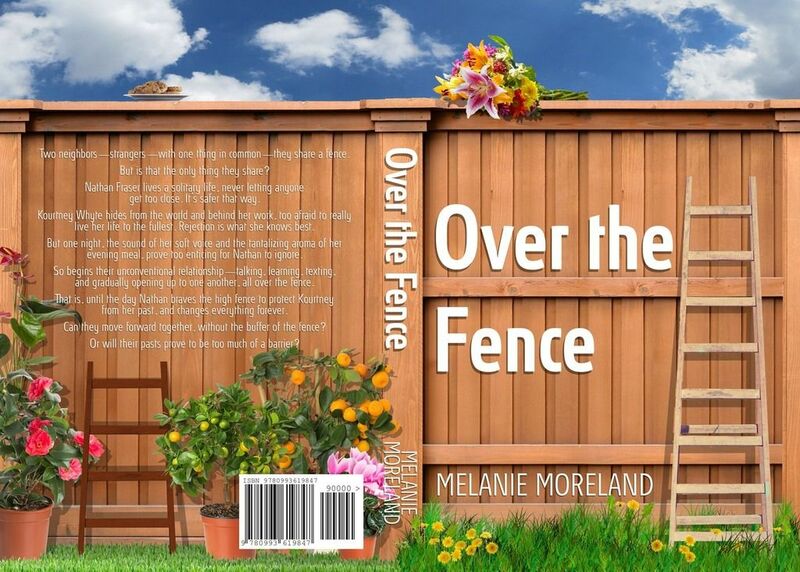 Melanie Moreland writes feel good stories. Her characters are always so huggable, their stories just make you smile, regardless of the circumstances, you will smile at the end of the story. 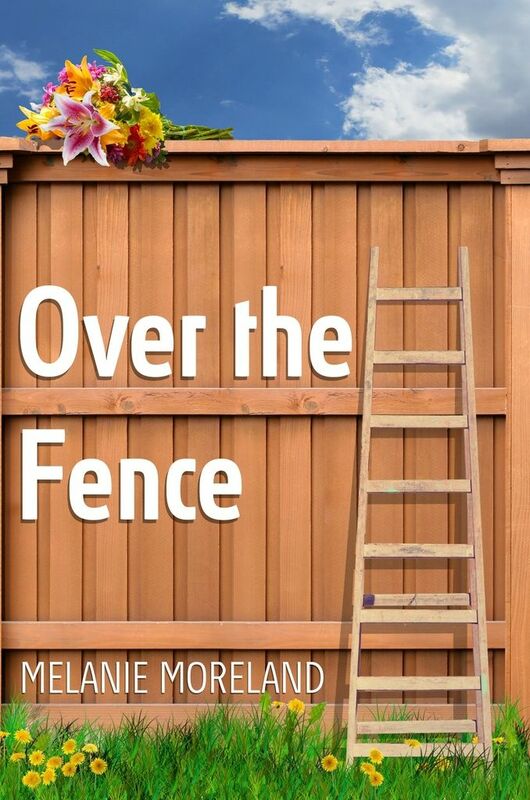 Over The Fence was a sweet, romantic, funny, swoony story. With amazing banter that flows, all rolled up with a bit of drama to give it an added zing. Seriously, just classic Melanie Moreland. This is the story of Nathan and Kourtney, aka Chefgirl and Tomcat. Two people with a lot of hurt and disappointment in their lives causing them both to live solitary lives, not letting anyone in. It's when Kourtney moves in next store that things change. They start a friendship through the fence. Sounds a bit odd right. Well, this is where we see classic Melanie Moreland. Even with the barrier of the fence, which is a metaphor for both their lives, these two come alive and slowly start revealing themselves. What I loved the most about the story was the banter between them. There is really no stand out secondary characters so the dialogue and story line is completely on Kourtney and Nathan. The humor is fantastic. 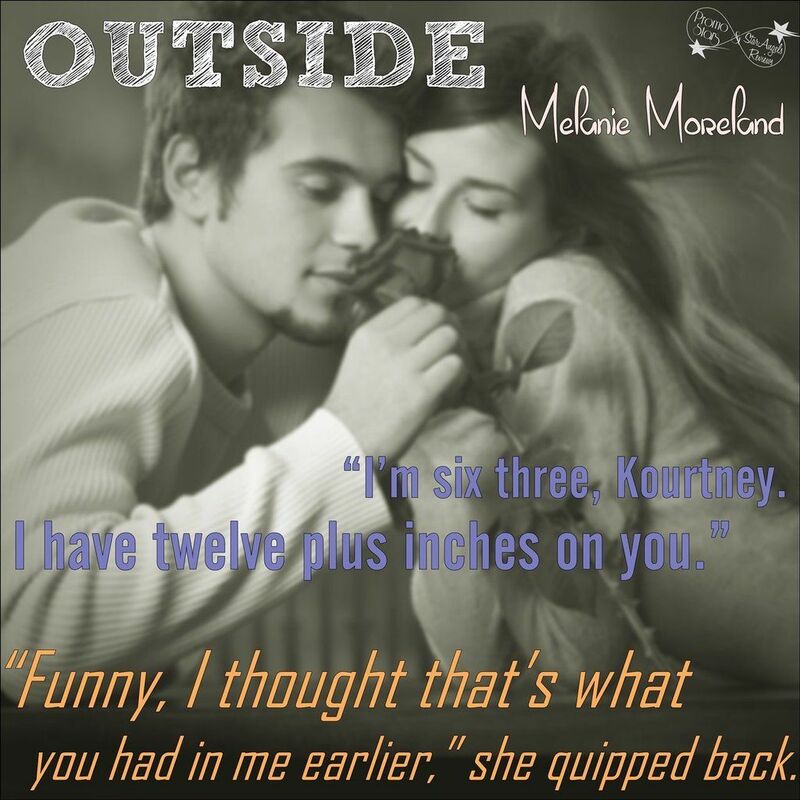 I laughed out loud so many times through the story, Their daily fence chats were so realistic and vivid, you get a real peek inside their worlds. And once their worlds finally do come together, the relationship really starts moving fast. And as fast as it moves, its believable. The author paints such an existence that the story just flows and flows. And the epilogue was completely perfect!!! I totally loved this story. Totally huggable, Totally grin worthy. Totally feel good feels.